Snails, snails and more snails. Our winter and spring have been very wet and as a result snail numbers increased dramatically. In my garden I used to find them in every dark corner and under every leaf. Every time I planted out a seed or seedling the fresh, succulent green leaves would provide supper for a snail. Even quite well established plants were disappearing under the onslaught. I had to do something. Over time I tried every recommended remedy, each with only limited success but finally I came up with a combination of solutions that seems to be keeping the numbers under control and protecting vulnerable plants. These tactics also work for slugs. This is the story of my private war waged, often under cover of darkness, on snails. I started with the old maxim of ‘know thine enemy’ and discovered that Australia has more than 2,500 native snails with new ones being discovered fairly regularly. One of the largest of these is the giant panda snail that lays eggs the size of small birds eggs! Dr John Stanisic who wrote the first book on these creatures said on the ABC Catalyst program that although the native snails may be numerous and some may be very big, they are not a problem in the garden as native snails live mainly in rainforests and mainly on decaying matter. All the snails we find in the garden that feed on fresh green leaves are introduced, so it’s alright to kill them. Just in case you are not sure, the introduced snails generally have two pairs of tentacles, and the native only one pair. 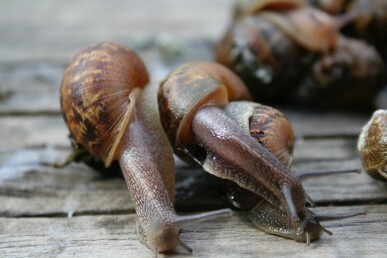 The garden snail, Helix aspersa, was accidentally introduced from Europe and is found in cities around the world. They can take two years to reach full size, are hermaphrodites (are both male and female at the same time) but still need two snails to mate. 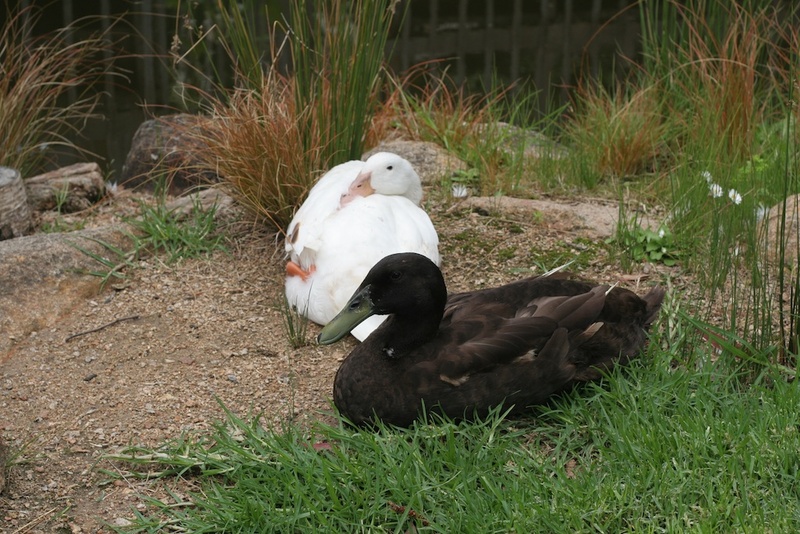 Eggs are laid into damp soil and will take about two weeks to hatch. Snails need dampness to thrive and when it gets too dry snails retreat into their shell and cover the entrance with a thin barrier known as an epiphragm. In this state of hibernation they can last for months without water. Snails and slugs cause a lot of damage in the garden. I have to confess that I don’t like crushing snails. So every time I went out into the garden I had a bucket of soapy water nearby. As I worked I threw any snails I found into this bucket. I explored my garden and found many of their hiding places: in old pots, under wood and on the shady side of the worm farm. These snails also went into the soapy water. Sometimes if I only found a few and didn’t have my bucket I would throw them into our large pond, (snails can’t swim, although they can go underwater for short periods if they slime down the side of the pond) where they would drown and be eaten by the resident water snails and other small animals in the pond. I pulled out large leafed plants that I knew harboured snails and moved them away from my vegetables. I’d go out into the garden at night with a torch, or in the early morning just after sunrise, again with my trusty bucket, and catch the critters in great numbers. I left large pots upside down in various parts of the garden and would visit them every couple of days to remove the snails. If I forgot for a few days I would sometimes find 20 0r 30 snails. Don’t even think about throwing your snails over the fence, not only is this not neighbourly, but snails have a homing instinct and will probably make their way straight back (if fairly slowly) into your garden. According to current research snails need to be taken more than 30 m away to stop them from coming home (see the citizen science project). I also set traps. Bowls filled with beer are recommended. The snails did seem to like them and I caught a few, but we don’t drink much beer and if we do there is never any left over and really I resented wasting good beer on snails. Or if you are a grapefruit eater then leave the skins upside down in an appropriate position and empty out the snails in the morning. By searching out and trapping them I managed to reduce the number of snails, but there were always plenty that I missed. So I now turned my attention to protecting individual plants. Barriers are good. Around seedlings and other vulnerable plants, at different times I used wood ash, saw dust, coffee grounds, diatomaceous earth and crushed eggshells. All of these worked for a while, but it just kept raining and they would be washed away, and the snails snuck through before I noticed. Also, you can’t keep using some of them (like wood ash) for long periods as over time they build up in the soil altering the soil composition. 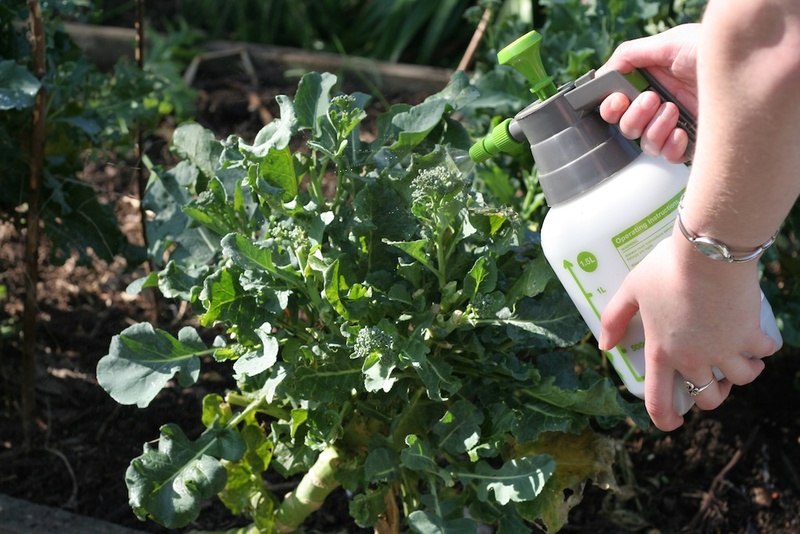 I also sprayed diluted coffee (made from the old grounds) onto the leaves of plants like beans and this worked until it rained. The same goes for wormwood and garlic sprays made by pouring boiling water over the leaves or cloves, leaving to cool, straining and then spraying onto the leaves of young plants. They too were washed off by the ongoing rain. The last straw came while my back was turned and the snails completely stripped a young cherry tree of its fresh spring growth. I needed something more permanent as part of my arsenal. 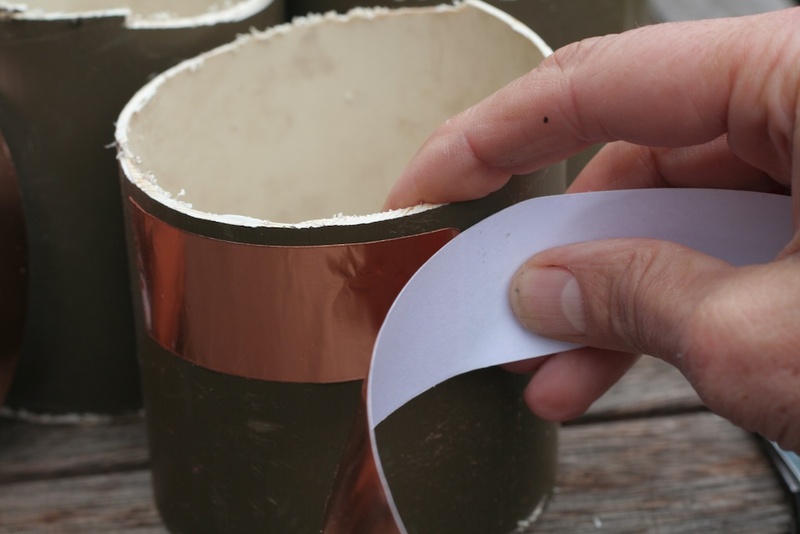 Use the sticky copper take to make a collar. Vicks vapour rub and copper collars. Snails had done a lot of damage to my seedlings waiting to be planted out. So I moved them all onto an old tray table and smeared the legs of the table with Vicks vapour rub, not one snail got past! Now my seedlings were safe until they were planted out. However, the long term solution for all sorts of plants is copper tape. The copper works by giving the snail a small electric shock-like reaction that repels it without killing it. I cut up short lengths of plastic pipe and attached the copper in a complete circle. These collars can be used for many years. 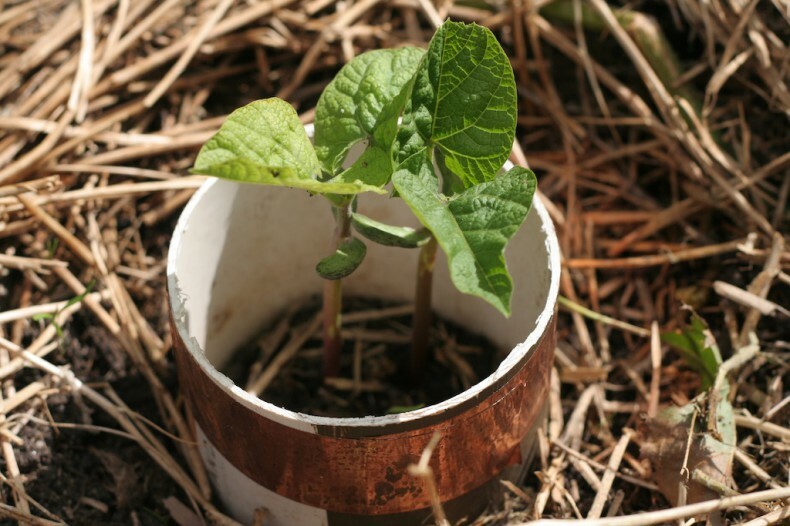 Some seedlings (like zucchini and squash) only need to be protected until they are big enough to cope with a little damage, then the collars are removed and used on the next plant, but vegetables like beans can be badly damaged at any stage so I leave the collars on until the beans are finished. 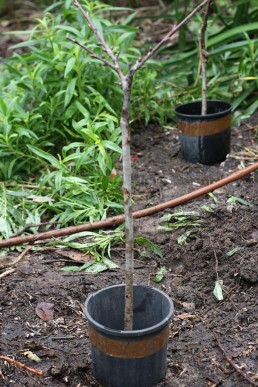 Bigger fruit trees can have their own collar around the trunk, but always leave room for growth. 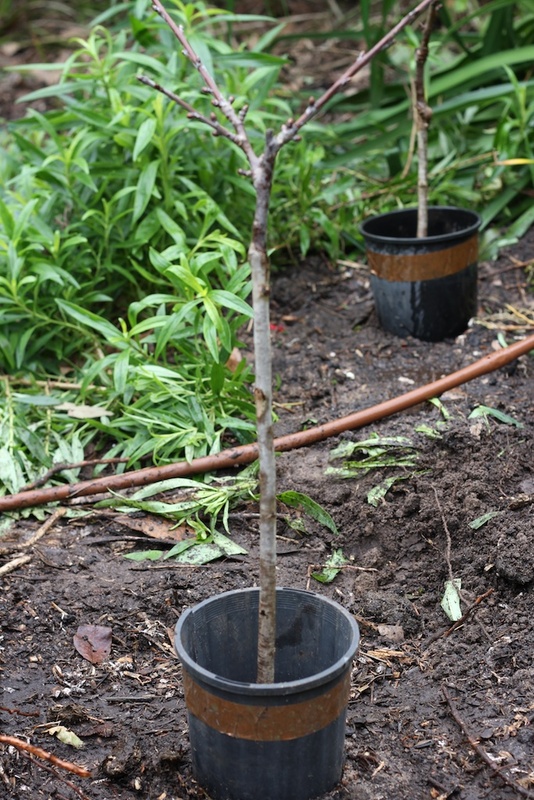 When planting my new cherry trees, I placed a guard with copper tape around each to stop the new growth being stripped by snails. I never use snail bait unless I have to, and then only the iron based bait that degrades readily and does not harm children or pets. 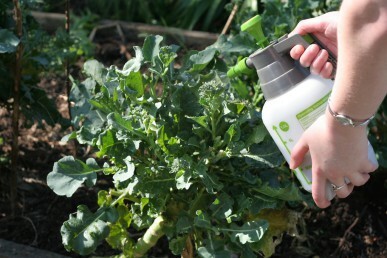 There is recent research though that suggests that regular use may harm some of the micro-flora and fauna in the soil. Also it does worry me though that a snail killed by snail bait may cause problems for any bird or other creature that then ate it. And I am especially worried about the final weapon in my anti-snail arsenal, my resident blue-tongue lizard. So if I do put out snail bait, because none of the other methods has worked or is possible, then I always surround it with a small wire netting cage or a plant pot with the bottom cut out and pushed into the ground, so the lizards and birds can’t get in. 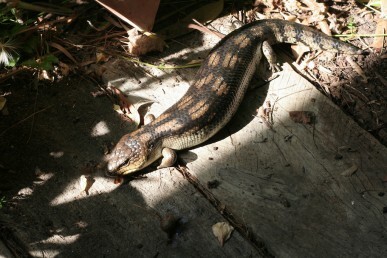 My blue-tongue wanders the garden consuming some plants as well as small animals like snails, slugs and beetles. I love to find him basking in the sun and to know that nothing I have put in the garden is likely to harm him. We also have visits from wild ducks, who feed on the snails, and domestic ducks will do the same.